David and I have started our new Rock Band 2 group, The Mediums. Ironic, since he always plays on expert level. 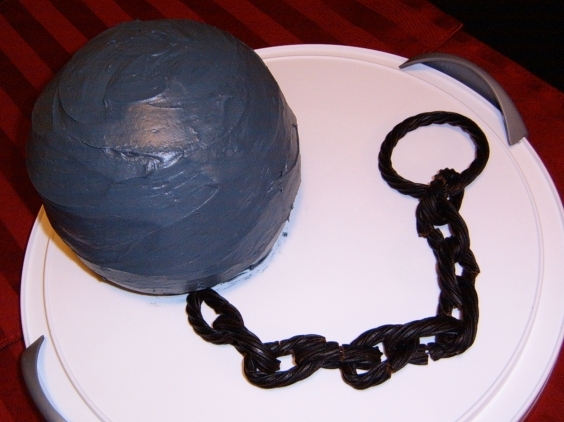 This icky looking confetti cake was my first attempt at making a sphere cake – and I think it turned out pretty well! The chain is made of Red Vines. Unfortunately I had to break my rule about only using edible materials because I couldn’t get the licorice to stay together without a little wire support. Hey you, to the Zoo! Renee came to visit this past weekend – yay! 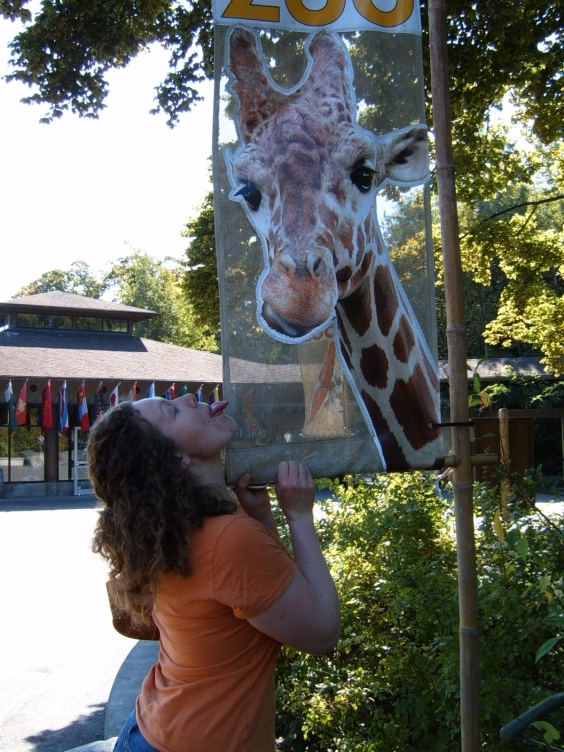 Although we went to the World’s Lamest Zoo, we still managed to have a good time! Browsing through the Blue-Ray discs, it was a little disturbing seeing the movie “World Trade Center” in the “Comedy” section at Fry’s Electronics tonight. I realize that it was the last movie alphabetically in the genre before the comedies, but someone really didn’t plan that out well. I can’t believe it’s been seven years already… I can still remember it like it was yesterday. 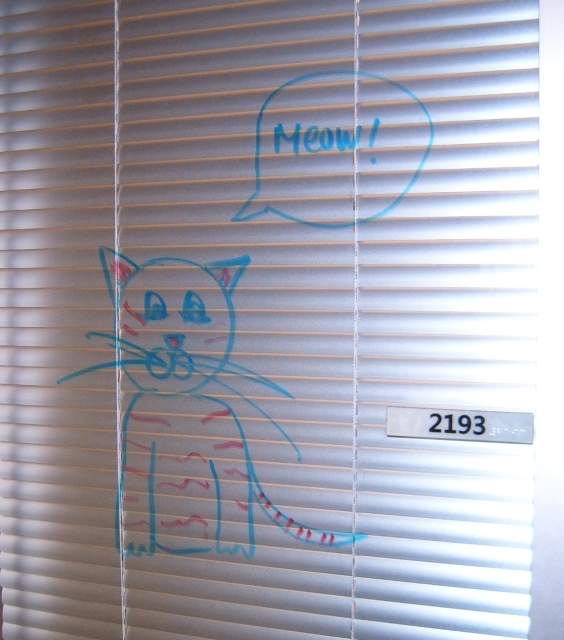 So I came to work last week to find that I finally have new window-art at my door! Thanks Katie!